Topic: Creating and displaying export file. First thing is to open up an existing CDS job. For this example we are going to open the job "estate.cdsdat" found in the documents\cds2 directory. 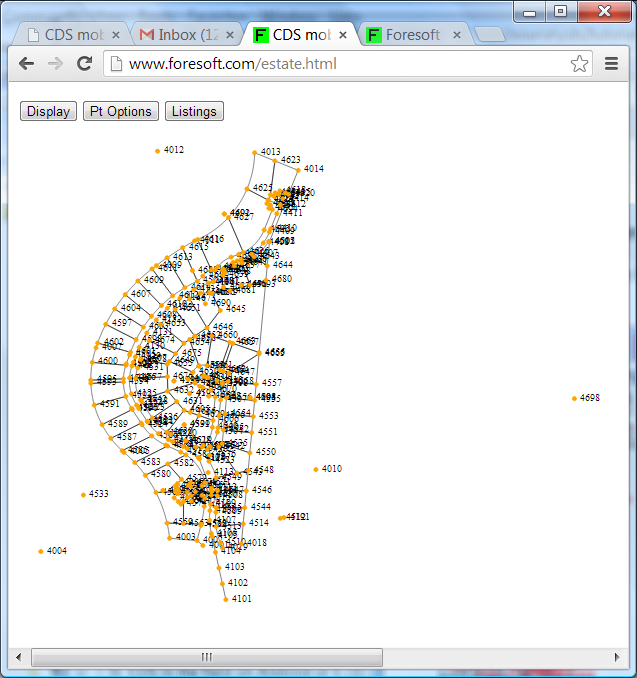 This example is a sample subdivision design and includes points and appropriate strings. On the desktop to zoom you need to use the "Ctrl +" key to zoom in and "Ctrl -" to zoom out. On your mobile device you can use 2 finger zoom or pinch zoom. 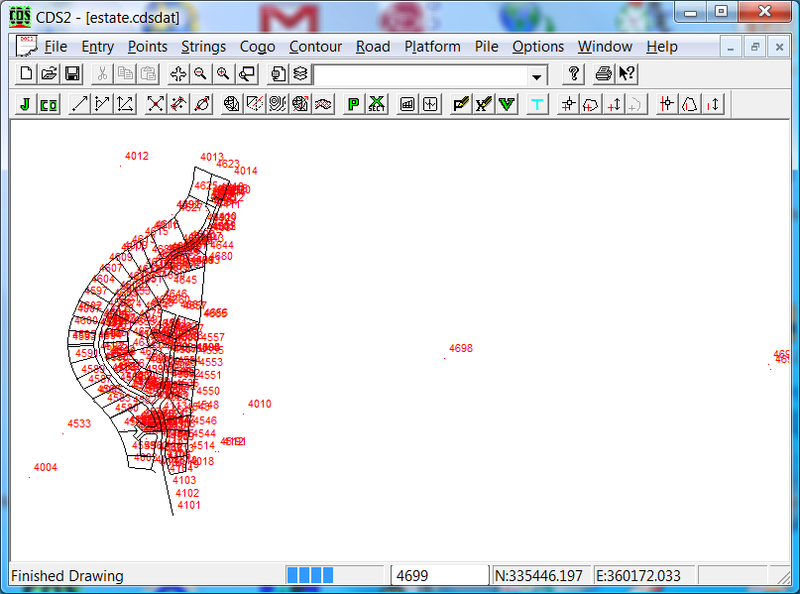 If you click on the Display option then you will see options to display Points, Heights, Design Heights, Code and Description. 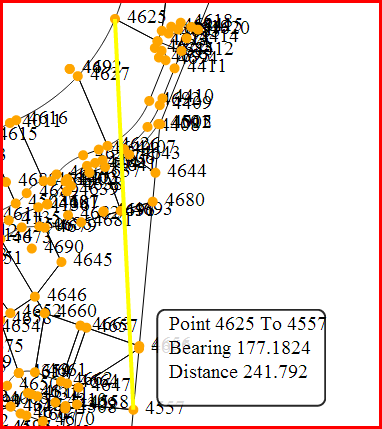 If for example you are displaying points then clicking on heights and you get heights. 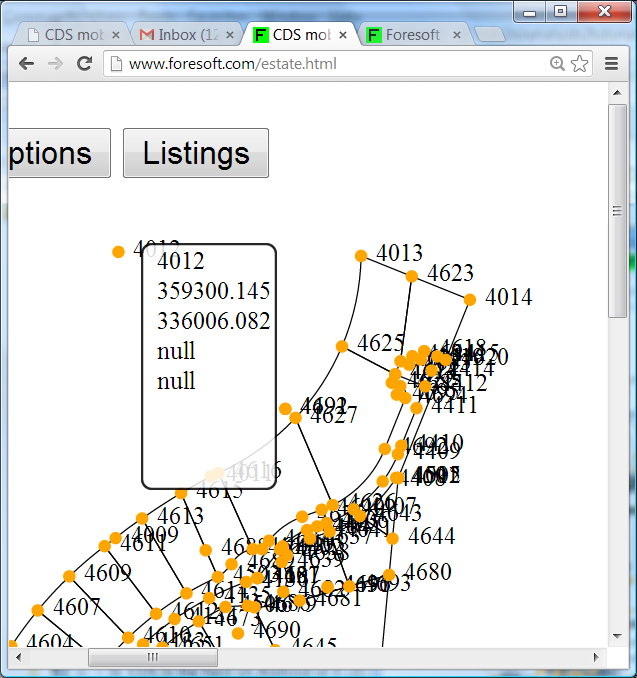 If you are presently displaying points and then click points again then no text is displayed. To interrogate a point simply click on the orange dot or the associated text. 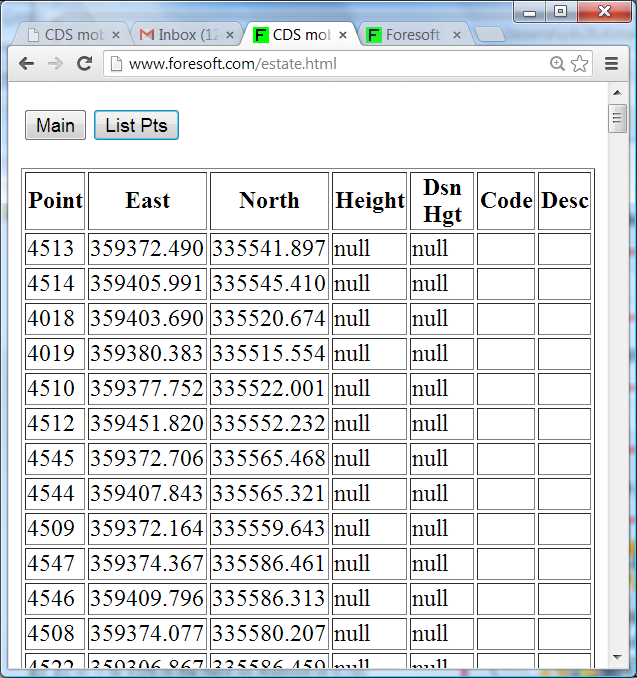 A tooltip dialog is displayed which shows point numbers, coordinates etc. Clicking on a new point automatically moves the dialog. Again you can type in or select a point or associated text. The join dialog is automatically displayed.